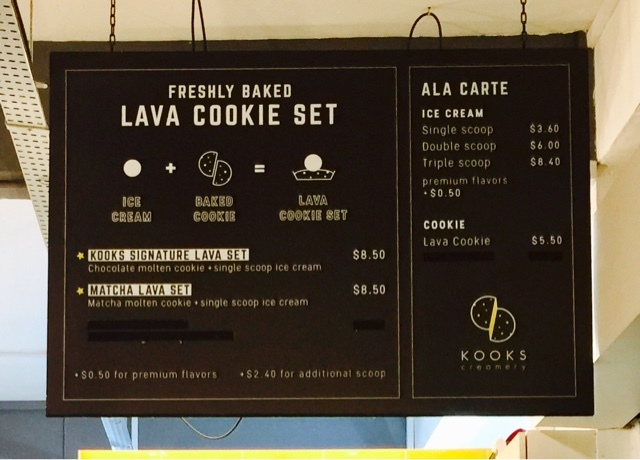 Kooks Creamery a hidden gem in Serangoon - Lava Cookie with Ice Cream is a Must Try! 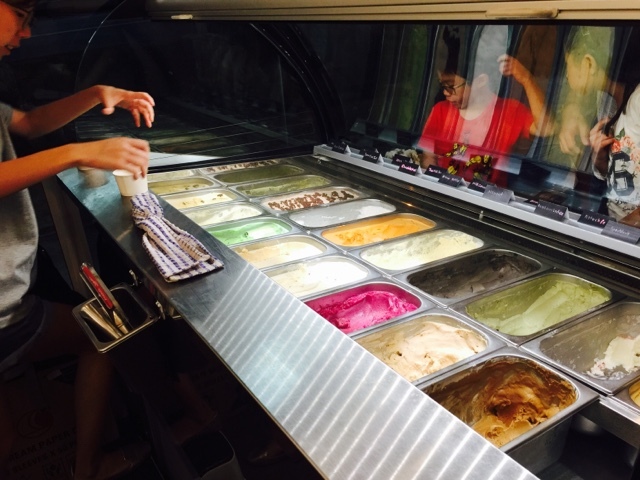 The most charming part about Kooks Creamery is their location - it is tucked away in the neighbourhood of Serangoon, a stone's throw from delicious Roasted Meat stall in the coffeeshop and Plain Jane. When I arrived, everyone already had a cup of ice cream. No one was trying out their signature ice cream set. 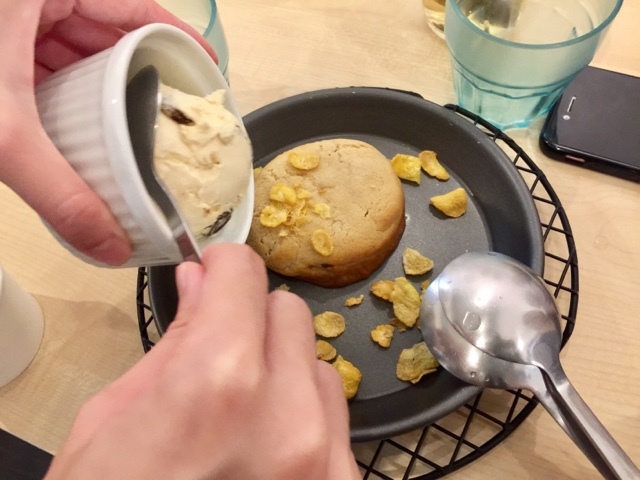 Not knowing that it was a treat by Miss Xiu Li, I exclaimed that we must try Signature Lava Set with single scoop ice cream. I read so much about it and of course I needed to try it out since we were here. I ordered Rum and Raisin. The Signature Lava Cookie with Ice Cream seemed to take forever to arrive. It could be due to the fact that it was full house on a Saturday evening. This should be good news to the two sisters who started Kooks. I reminded the waitress about my order and she explained that it would take a while as they baked the cookies on the spot. 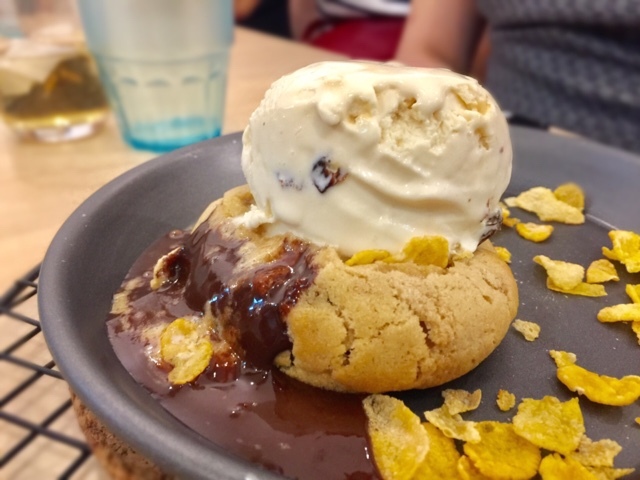 When it was finally served, the waitress asked if I wanted her to "dump" the ice cream onto the Lava Cookie. Sure! I enjoy such effects! 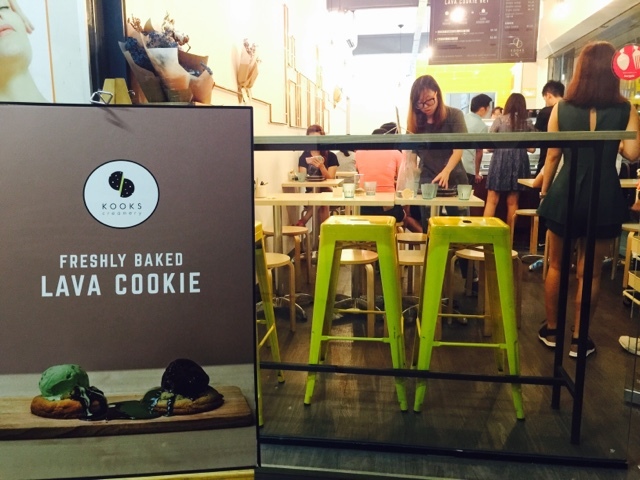 When the ice cream landed on top of the cookie, fear not, nothing happened. She then used a spoon and pushed the ice cream down, allowing the melted chocolate to ooze out from the cookie. The warm cookie, warm melted chocolate and ice cream went very well together. I like to experience hot and cold sensation in my dessert. It was an enjoyable dessert. I highly recommend you to eat the Sio Bak rice at the nearby coffeeshop and then walked for 2 minutes to Kooks Creamery for your dessert. Perfect! Signature Lava set a Must Try! This post is dedicated to Miss Xiu Li for the warmth she exuberates, witty jokes that she shares and her generosity. Thank you for indulging me in the delicious ice cream treat!